Basin Recreation works hard to offer events that appeal to everyone in our community. 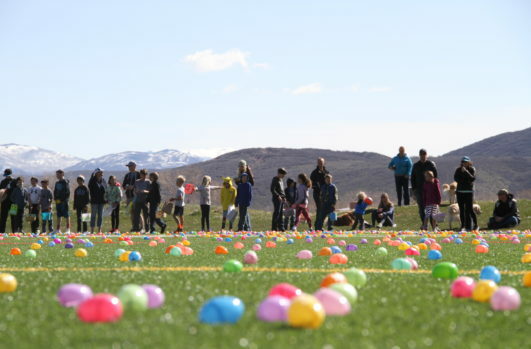 From activities on our trails to fun races for all ages, from classes to celebrations, from challenges to movies in our parks – the Staff at Basin Recreation loves to connect with our community. Check out our Events Calendar to see what is coming up. We hope to see you out there enjoying Basin Recreation events. The snow is melting and it is time to give Run-a-Muk a spring cleaning! 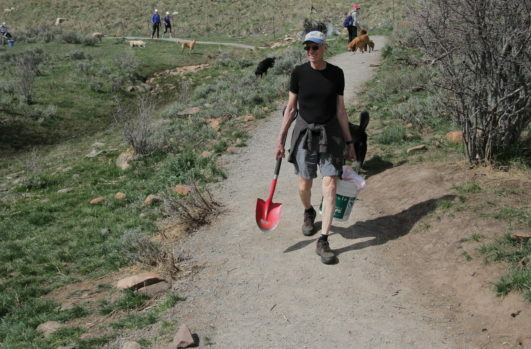 Please lend a hand to clean up this Basin Recreation hot spot. Bring your gloves - shovels and buckets will be provided. Thank you in advance for helping to keep this fantastic amenity nice for our furry friends! Contact Jessica Kirby at (435) 649-1564, ext. 26 or jessica@basinrecreation.org for more information. Don’t miss one of our favorite annual traditions – the Easter Egg Hunt! We are very excited to welcome kids ages 1-10 at this free community event. Come find the Golden Egg and win an EGGSTRA special prize! Contact Angie Greenburg at (435) 649-1564, ext. 47 or agreenburg@basinrecreation.org for more information.